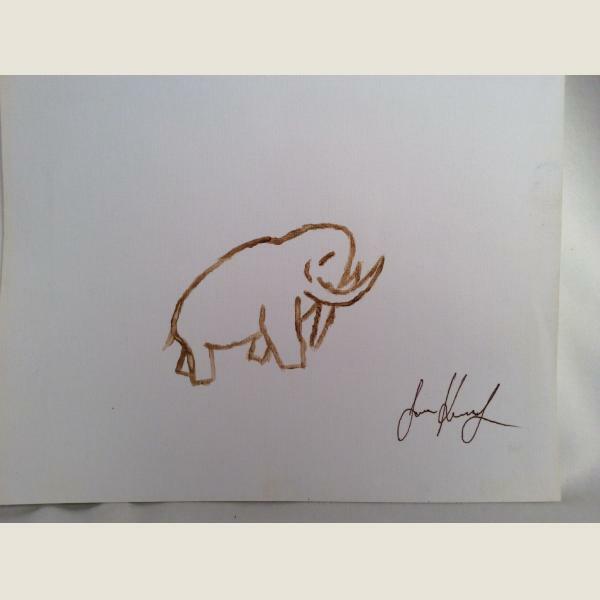 1/100 Painting of a Mammoth signed by James Kennedy. He has made an exact copy of the outlines of the mammoth etching he found in 2006 or 2007 in Florida that has since been authenticated by the Smithsonian as well as other institutions as the oldest piece of art in the Americas. 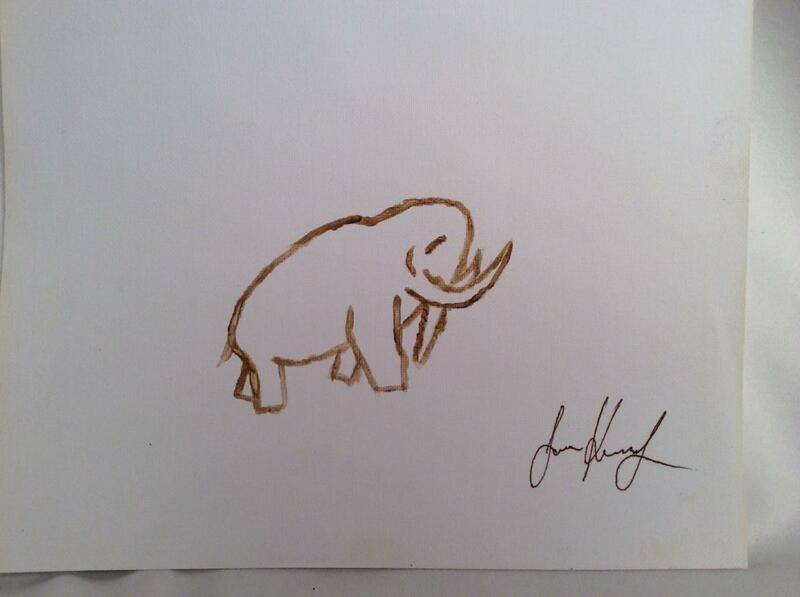 His medium is ground up mammoth ivory chips dissolved into paint. The ivory chips were found at the site of his great discovery.